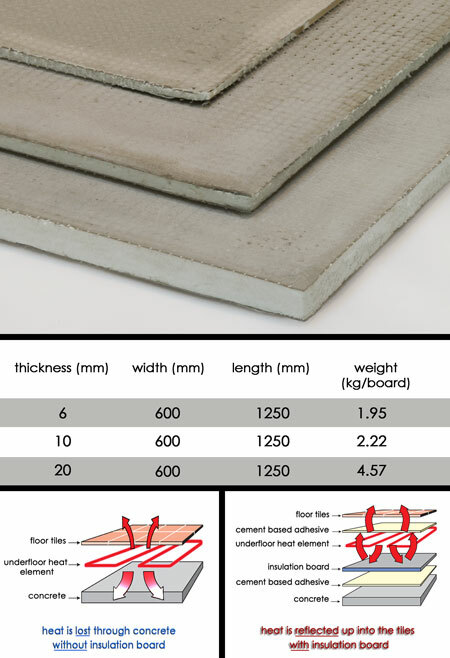 Our twin cement faced insulation boards are specially designed to be installed using cement based flexible tile adhesive adhesives to the existing timber and concrete subfloors. The boards allow efficient energy saving operation of our electrical underfloor heating mats. * Improves efficientcy of heating. * In 6mm, 10mm and 20mm. * Insulation size 1250mm x 600mm.